So, I’ve never met BL Miller. (Shocking, I know. Because I’ve NEVER made mention that I haven’t met an author.) But, in a way, I have met her. Confusing, right? Let me ‘splain. Like many of us, I am friends on Facebook with many people -authors and readers, alike. I’ve not met the great majority of people on my friends list. I checked, and BL Miller and I have been “friends” since some time in 2010 – the earliest “correspondence” I could find was October, 2010. We’d both been at the 2009 Orlando Conference, but – as I’ve mentioned – I was really sick that year and didn’t get to meet many people. So, we were “FB buddies” for a good while. She even helped me with my family tree! I couldn’t find the name of my grandfather’s grandfather. I was confounded. BL to the rescue! She found the name and the documentation. Yay! Ahem…your 9th great-grandmother Barbara Tennison is my 8th great-grandfather John Tennison’s sister. Their father was Justinian Tennison the Elder, who came over from Dorset, England as well as his brother, John. I can give you much information, including that your 10th great-grandfather Justinian Tennison the Elder was on the jury that found Rebecca Fowler, wife of John, guilty of witchcraft and had her hung. It all boils down to…COUSIN!!!! Yes, that’s right…BL Miller is my distant cousin! How flippin’ cool is THAT? Want to know what is even cooler? I finally get to meet her in Dallas this year! Yay! 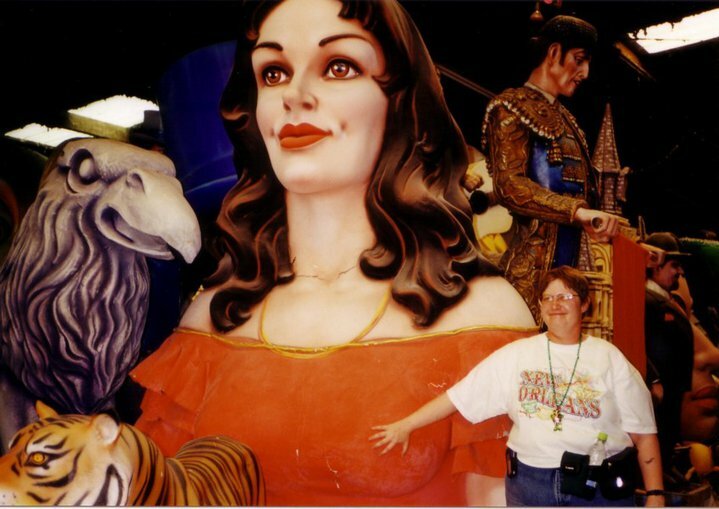 In 2005, my friend and co-author Verda Foster mentioned this convention going on in June in New Orleans. I had only left the Northeast once. That was when I was 10 and rode in a station wagon with two adults and five kids from upstate New York to Columbus, Georgia. Well, we were supposed to go to Columbus. My uncle took a wrong turn and ended up hitting the Florida border and had to turn around so technically I’d been to Florida once. As an adult, however, I’d not taken a true vacation out of New York or Massachusetts. I knew nothing about New Orleans except that it was in the south, there was going to be a convention (another new experience), and there were museums. My excitement grew as the date neared. Verda and I arrived several days early so we could fully enjoy what could possibly be our only visit to the Big Easy. And museums there were. The Mardi Gras museum, the Musee Conti Wax Museum, and the wonderful Pharmacy Museum. There were nighttime ghost walks and a magical place called Bourbon Street. All these years later and I still have a Bourbon Street sign hanging on my bedroom wall. So many firsts happened for me there. My first ride on a trolley. My first ride on a riverboat. My first taste of Cajun food. My first sweet potato fries, my first beignet. We visited restaurants that made the most wonderful foods and saw architecture that was just plain amazing. And all this was before the actual convention started. I had no idea what to expect when the GCLS convention commenced. There were women and books everywhere. A hermit by nature, the crowd was at first intimidating. I tended to stick near those I knew like my friends and my publisher. Slowly I started to meet people and settle in. A few memories stand out to me from that first convention. Meeting people for the first time who had read and enjoyed my books, the first autograph request, putting faces to the names of fellow authors and readers whom I’d conversed with via email. I met a woman who upon introducing myself literally bowed before me. I was stunned and had no idea how to react. She explained that it was from reading Accidental Love that she (realized or accepted, the memory fails on certain details) who she really was and from that met the wonderful woman that eventually became her wife. Being the mushball romantic that I am, the thought that I had any part, no matter how small, in helping someone find their soulmate is enriching and heartwarming to the extreme. They currently own three copies of Accidental Love. Since this year’s convention is in Dallas and thus right in their back yard, I will get to enjoy the special treat of not only seeing them again but being able to spend a couple of nights enjoying their hospitality after the convention is over before I have to head back home. More memories to take with me for all my days. 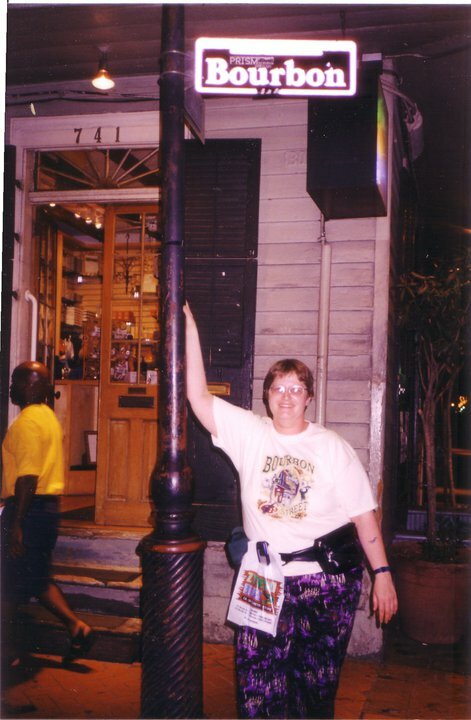 I still remember one of those first few nights that a group of us went out for the evening in New Orleans, riding the trolley and eventually finding Bourbon Street. Now understand that I’m not only a northern gal but one who had never, ever studied or had a bit of a clue about New Orleans. This was all completely new to me and I had never heard about beads or how to earn them. So there I am, standing on Bourbon Street with a handful of new friends and I want beads. I want that souvenir and come hell or high water, I’m going to get it. So after a quick check to make sure the friends with cameras were otherwise distracted, I lifted my shirt and even with my granny bra and not so hourglassy figure was able to get beads tossed down to me. Heh, shocking my friends was an added bonus. So many more memories. Listening to speakers talk about books and writing. The thrill of the autograph session where I was diligently signing away only to look up and realize that I was the only one left with several still standing in line waiting for my signature. The endless photos in the days when film was still more popular than memory cards. Countless email addresses exchanged, a multitude of conversations and friendships that enriched my life. I’ve been to two other GCLS conventions since then and will be going to Dallas in a couple of months but that very first one, that special trip to New Orleans will always rank the highest in my memory. I am so pleased to see that GCLS will be returning to where it all started and look forward to going back to visit the Big Easy again. For now though, it’s time to put on the checkered shirt, blue jeans, and talk about romance deep in the heart of Texas. I am looking forward to my first trip to the Lone Star State and to seeing both old and new friends. So if you see me, please come right up and say howdy. I’m looking forward to meeting everyone. I just happened upon this information myself not 20 minutes ago. and came across your blog post. Justinian Tennison was my 9th g-grandfather, His daughter Barbary m. Justinian Thomas Burch- -my 8th g-grandparents. I had absolutely no idea there was any connection to someone being hanged for witchcraft. How horrible! (Though neat to find out, I guess). Outstanding. … and yes, you are NIFTY!! !